OS X is perfect. Honest. I’m joking of course but until Windows 7 came along there was a perceived wisdom that OS X windows management was pretty untouchable and need little or no improvement. In fact I might have mentioned once or twice my love of Expose and how it made using a Mac wonderful compared to Windows. While true, Microsoft really stepped up with Windows 7 and introduced some brand new ways of managing windows particularly around their size and position. 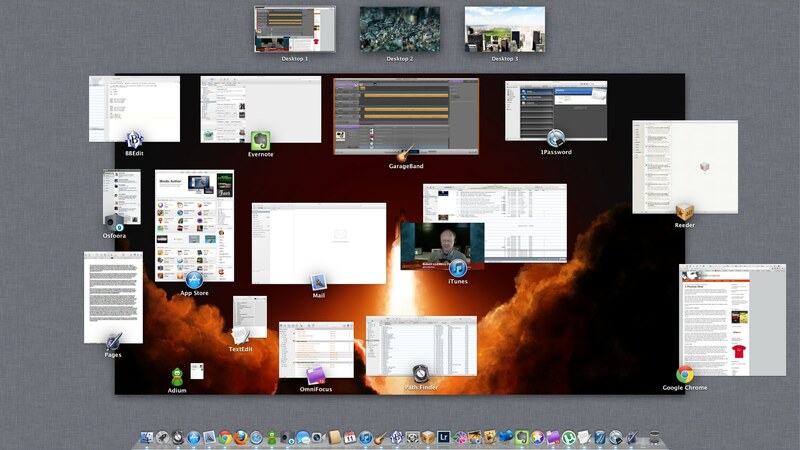 Windows 7 release spawned a number of window management utilities for the Mac. It was hard to keep up with what each tool did and which one actually offered the best features but after a few months of trying various options I’ve settled on Moom from Many Tricks. Moom, so named for those that move and zoom a lot is a $5 app that add’s a lot of functionality. Once installed Moom offers a variety of window management options and one new feature in particular which is very handy. You access Moom via the keyboard or more commonly by hovering over the green zoom button at the top left of any windows on OS X. Out of the box you can select one of the icons at the top of the Moom window to easily fill the current window to full screen or the top/bottom half of the screen or the left/right half. Most of the time though you want slightly more control. In the grid below the four screen icons you can draw a window size and when you let the mouse go the current window will not only size to what you have just drawn but also pop to that position on the screen. This makes it really easy to deal with lot’s of windows that you want to size quickly. Dragging the half width/height icons a few pixels—instead of clicking allows you to size windows to quarter size instead of half. While I don’t have a second monitor, Moom also supports easy movement to a second or third monitor while also moving and sizing the window. However you can customise Moom so that your own sizing options are displayed. You can setup common window sizes and these can be called up via the custom control dropdown as in the above screenshot or via a custom keyboard shortcut. This really gives you easy window management but one new feature added recently is Window Layouts. 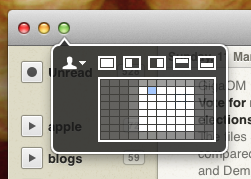 You organise your window size and positions and save that layout in Moom. Then when you have the applications opened you can easily select the layout and Moom will organise and resize the windows as per your saved layout. I find this really handy for image editing and also for recording the podcast – so easy to get the same repeated window layout quickly without faffing around sizing individual windows. Take a look at this video for a quick demonstration. So thats Moom. For $5 it’s a bargain. One thing to note is that it’s available on both the Mac App store and from Many Tricks direct. I chose to purchase directly rather than App Store as I’m unsure on the sandboxing proposals from Apple as I can see it restricting app’s like Moom in the future. I might be wrong, but thought it worth mentioning. If you use a lot of app’s day to day on your Mac I really do recommend Moom – it makes managing windows a lot easier.